Having a child with hearing loss is an experience people can only understand from having lived through it themselves. Parents of newly identified children can be overwhelmed at the idea of navigating this new world that they may have never realized existed. On top of that, they still must care for a newborn baby! It is important for families to connect with one another and share their experiences. Henderson, Johnson and Moodie (2014) suggest parents of children with hearing loss need to provide each other with empowerment (confidence and competence) by problem solving, engagement and decision-making within relationships with other parents who have been “in the trenches” raising a child who is deaf/hard of hearing. The DC/Maryland Chapter of Hands & Voices is a community resource for families of children who are deaf or hard of hearing, of all ages! Members include families who use either manual or oral communication (or both! ), representing the variety of approaches to and experiences with hearing loss or deafness. Hands & Voices also has a program called Guide By Your Side which connects families with trained Parent Guides for parent support. Hands & Voices will be hosting a Donut Social this Sunday, September 30, 2018. It is open to DC, Maryland, and Virginia families. See the picture below for details. Henderson, R., Johnson, A., & Moodie, S. (2014). Parent-to-Parent Support for Parents with Children who are Deaf or Hard of Hearing: A Conceptual Framework. American Journal of Audiology, (4):437-48. Chattering Children is co-located with The River School, and we are privileged to hear from one of the teachers, Kaitlyn Jue, for some back-to-school tips regarding easing the transition from summertime into the school year. 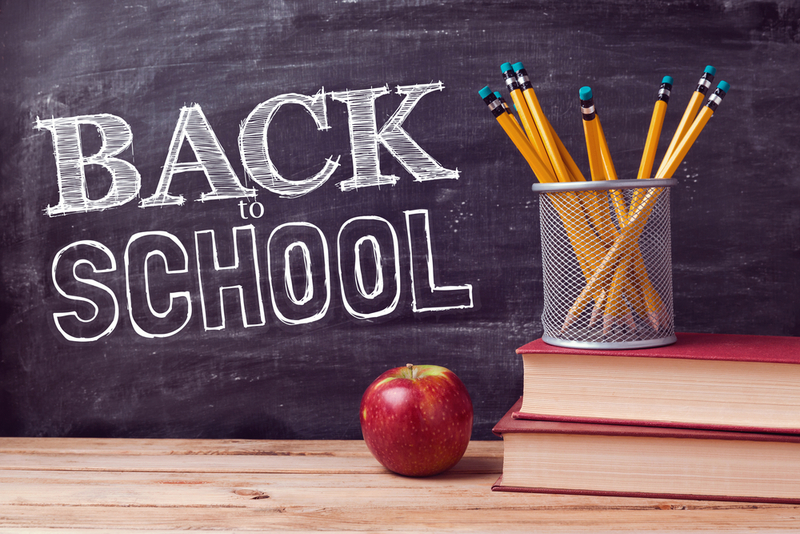 While the weather isn’t exactly cooling down just yet (at least not here in Washington, DC), back-to-school sales are prevalent, summer camps and vacations have winded down, and the anticipation of the beginning of a new school year is rising. The start of each school year is a special and exciting time. As a teacher, I still get butterflies in my stomach (due to excitement and nerves) as I wait to meet my new students and their families. As a parent, you’ll learn who your child’s teacher(s) and classmates will be. You’ll likely receive an overwhelming amount of information regarding school supplies, school day routines like drop-off and pick-up, and reminders to save-the-date for back-to-school night and upcoming parent/teacher conferences. During this transition time from summer to the school year, your child will also be feeling an overwhelming sense of emotion. Every child is different, and the way that each child reacts to this transition will vary. School drop-off can be one of the most anxious, nervous, and exciting times of the school day (for both you and your child), especially during those first few weeks. Some children will waltz into their classrooms right away and jump immediately into their new routines. Some children will display more apprehension. There is absolutely no right or wrong way for a child to feel about this transition. Regardless of how confident or nervous your child may seem, there are a few things I’d love to encourage you to consider to help ease this exciting, and sometimes difficult, transition for both of you. 2) Be consistent. Children crave routine. Working with your child to develop a consistent beginning of the day/school drop off routine can work wonders both during these early days and throughout the whole year. This routine can be customized specifically to you and your child’s individual needs and preferences. This may be as simple as giving your child a high-five every morning as they walk out the door or get out of the car (or before you leave for your day, if your daily commitments begin before your child’s school day). If you physically walk your child into their classroom, you can set in place a parting routine of giving one hug followed by two kisses (for example) before you leave the classroom. If your child is feeling more apprehensive about school, that one hug and two kisses may result in your child crying for more, but this is the moment where it truly is most important to stick to the consistency of your routine and allow your child to complete their transition into the classroom. This brings me to my last suggestion…. 3) Be patient. Keep in mind that for some children, you could be the most positive parent in the world, or have the most brilliant drop-off routine planned, and your child still may exhibit sadness or anger during drop-off. Hang in there . Persist with positivity and excitement for your child when you talk about their new classroom, classmates, and teacher(s). Maintain some variation of a consistent beginning of the day/drop-off routine, even if it may result in your child crying as you walk away more often than not. Over time, your excitement for your child and consistency with routine will pay off. Transitioning to school, even if it’s not your child’s first year in school, brings on many emotions. All children process this transition in their own way. By consistently reinforcing for your child that school is a fun and safe place, this transition will slowly become easier for both of you. Finally, remember that your child’s teacher is an invaluable resource in managing these transitions. Never hesitate to ask questions or seek advice if you aren’t sure of how to best support your child through their transition to school. Working with your child’s teacher, especially in the beginning of the school year, will help establish a positive, open, and communicative parent/teacher relationship. Wishing you all a WONDERFUL school year!